You know video marketing is where it’s at right now, but are you struggling to get started? Do you want to generate leads using video but not sure how to get the right viewers? Wondering how to grow a YouTube channel and leverage it for your new business pipeline? It’s time to learn how to utilize YouTube to grow new relationships, make connections, and build your authority. #1 thing to grow your YouTube Channel. How to leverage YouTube as a search engine. How is YouTube ranking videos? 3 steps to a successful video. Today I chatted with Sean Cannell, YouTuber at Think Media and Video Influencers, international speaker and coach. Sean spends his time helping entrepreneurs build their influence through online video. Today he is providing us with insight and tips on building a YouTube channel and generating leads with video. Where your agency wants to go. 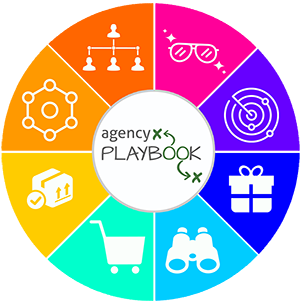 Who your agency is, in the marketplace. Who your agency wants to reach. 1- Who is your target audience? The riches are in the niches (yes, really!). 2- What is your value proposition to the target audience? What consistent value are you going to deliver? How often will your agency deliver content? Start out with at least a weekly video, then increase from there. YouTube is less crowded than Google, as a search engine, so there is a lot of white space and opportunity. 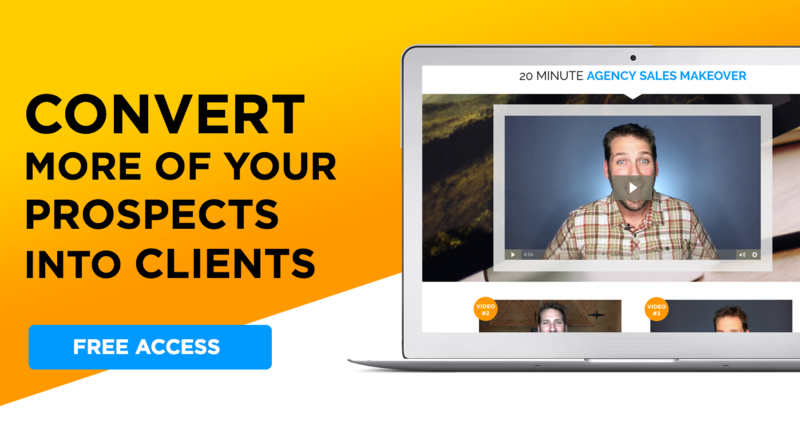 Take the top 20-30 FAQ’s your agency gets and make a video answering each question. Position the videos to leverage search by embedding them in your agency blog or linking to your agency website. Create a library within YouTube, for easy linking access. By pushing people to YouTube, this encourages ‘likes’ and subscribers. Video content is powerful. It builds the important Know, Like, and Trust Factor. And Sean says it is 53% more likely to rank on the first page of Google (than written content is). Video is most people’s preferred content format, which leads to a higher level of engagement and can help grow your agency! Originally YouTube would track views as a success metric. But, as click-bait started popping up, YouTube started to see the benefit of measuring minutes. YouTube learned that just because viewers where clicking on a video, it didn’t mean that they were actually viewing the content. Impressions don’t necessarily mean impact. However, a minute of someone’s time, is a big deal. So, when you go into the metrics on your agency’s YouTube channel, you will see analytics of minutes, views, and subscribers. YouTube values these metrics because, first and foremost, it is a business and makes money from advertising. So, they reward people and businesses that create lengthy content that get viewers to linger longer on their platform. Step 1- The beginning. There are 3 parts to the beginning and should all work in unison. Title – this is what gets viewers to stop scrolling. Keep it straightforward. Having numbers is powerful, so consider things like: 5 Tips, 3 Reasons, etc. Thumbnail – this is what gets viewers to click on your video. The biggest mistake Sean sees is thumbnails with too much text. Hook – this is what gets viewers to stay and watch. The first couple minutes of your video should make them want to keep watching. Another great tactic is to include a teaser for a “bonus tip” at the end, to ensure longevity. Remember: online interaction is linear and progressive. Step 2 – the middle. Videos should be as long as they need to be, but as short as possible. If your agency wants to use “i” cards, you will not be penalized if you link away. On the other hand, YouTube will note the end of the viewing session. So be sure this use is intentional and strategic. Don’t link away in every video. If viewers watch your videos to the end and increase the amount of minutes in your channel’s metrics, YouTube will help grow your channel by suggesting it more often. YouTube analyzes the ultimate impact of what your agency’s channel is putting out, but also understands that some viewing is programmatic (like with a TV network). It will not penalize if one “show” performs better than another. When you get over 50% of your audience watching to the end of your videos (the “end” is considered to be anything >80%), YouTube will provide an algorithmic advantage to your channel. Step 3 – the end. Every video should include a call-to-action that keeps the viewer engaged. There are 2 ways you can approach your CTA. Create a call-to-action, such as a lead magnet, that takes the viewer off platform but grows your agency email list. Utilize YouTube’s free end cards to create clickable buttons that link to other relevant videos. Hint: Create 2 clickable buttons… the first birst button links the viewer to a relevant video of your choice and the second button uses a back-end feature that lets YouTube decide what video the viewer should watch next based on viewing habits and relevancy. To learn more strategies, check out Sean’s Tube Influence masterclass replay.